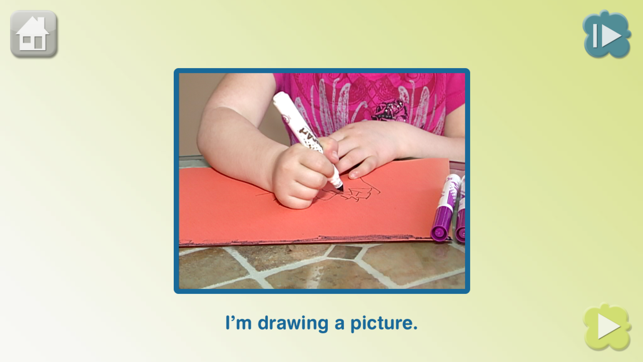 Touch the forward and back buttons to move through the photos one by one. 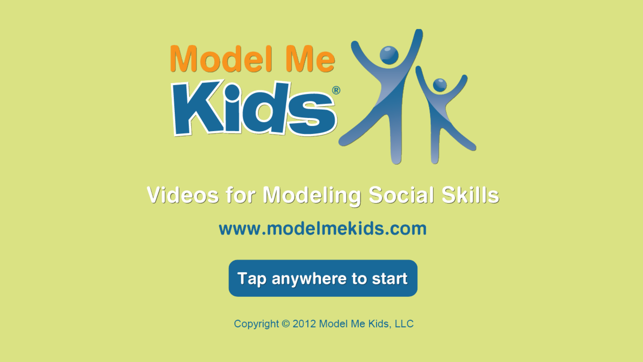 Or simply press the slide show button to advance photos automatically. A home button brings you back to the navigation menu where you may choose your next emotion. 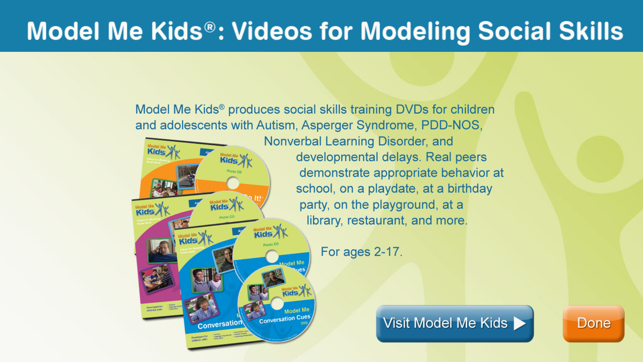 This app is based on the Model Me Faces & Emotions™ DVD, part of the Model Me Kids® social skills training series for children and teenagers with Autism and Asperger Syndrome. 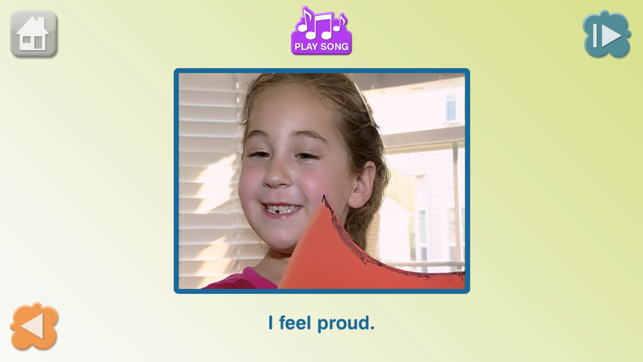 The app includes audio narration (English), descriptive text of each photo, and songs by Music Therapist Rachel Rambach. 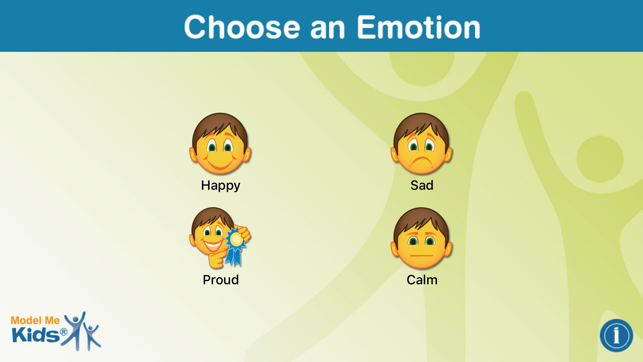 Younger elementary kids on the spectrum benefit from and love this. I like but.. I think that this a little young for me.